The Pound Australian Dollar (GBP/AUD) exchange rate is down today and currently trading around AU$1.8288 on the inter-bank market. 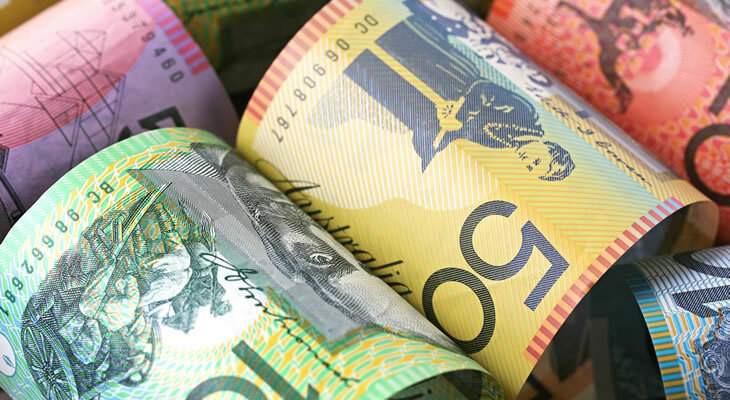 The Australian Dollar (AUD) gained against the Pound (GBP) following the Australian Westpac Consumer Confidence figures for April rising significantly to 1.9%. The Pound, meanwhile, failed to gain against the ‘Aussie’ today despite the UK GDP figures for February rising above expectation to 0.2%. These were followed by better-than-expected UK Manufacturing production figures for February, which shot up to 0.9%, exceeding the 0.2% forecast. Many Sterling traders, however, are looking ahead to this evening’s emergency EU summit which will determine whether the UK will be granted a long extension to Brexit, as time ticks down until the 12 April leaving date. Donald Tusk, the President of the European Council, has proposed a long extension to Brexit, perhaps even up to a year. He deemed a shorter extension – Prime Minister May had originally requested until 30 June – would potentially have caused further delays and complications, simply multiplying the number of cliff edges for May’s deal. Guy Debelle, the Deputy Governor of the Reserve Bank of Australia (RBA) sent out mixed-signals in his talk early this morning, saying that household spending had become ‘considerably weaker’ while strength in the labour market had improved. ‘Aussie’ traders will be awaiting the publication of the Australian Consumer Inflation Expectations figures for April tomorrow, and with any signs of improvement this could buoy the AUD/GBP exchange rate further. Tomorrow will also see Australia’s largest trading partner, China, receive a slew of important economic data. The Chinese CPI figures for March will remain in focus for many AUD traders, as any improvements in the Chinese economy affect confidence in the Australian Dollar. The GBP/AUD exchange rate will, however, be dictated by the outcome of today’s EU summit in which the EU27 will provide their conclusion on a possible delay to Brexit. Any signs that the UK could be provided the opportunity to delay ahead of the imminent 12 April leaving date would see the Pound rally on Brexit relief.